With the power of our RDI we have determined that the best Korean BBQ in DC (including the surrounding metro area) is Kogiya Korean BBQ. With a score of 71 on our restaurant delight index (with Yechon coming in second with a score of 56) it wasn’t even close. Come take a look for yourself! Washington, DC sits in the middle of a region with a relatively large Korean American population (and with high expectations to match, looking at you Virginia). 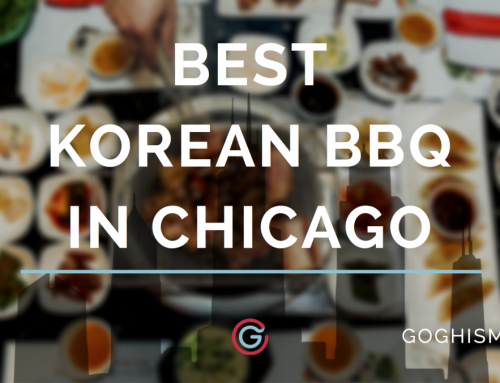 But DC manages to distinguish itself by… not having very many options for Korean BBQ. The most telling fact is that the best Korean BBQ in DC… isn’t even in DC, it’s out in Annandale. I assumed there would be a decent selection in the least, but in order to get a taste of real, good Korean food, you’ll probably need to head for the metro area! 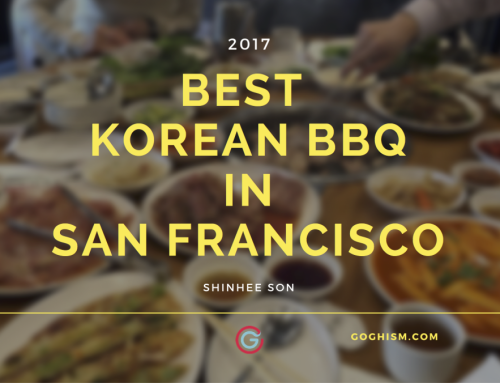 In this post, I’ve gathered the best spots in and out of the DC area to help you satisfy your Korean BBQ cravings. These probably wouldn’t rank super high nationwide but if you’re in the nation’s capitol and you just HAVE to get some Korean BBQ into your life, you’ve come to the right place. If you’re looking for some authentic Korean BBQ then Kogiya is your best bet. I’m pretty sure they got such a high RDI score because of how much they offer! They have an a la carte menu, but Kogiya really shines when you get the AYCE! The quality of their beef is on point and unlike other places where you need to pay extra for rice and a steamed egg souffle, Kogiya’s got you covered. If you don’t want the AYCE option, there is a $13 lunch combo which offers a meat of your choice, unlimited side dishes, and either a soup or noodle. With quick service and plentiful banchan (side dishes), Kogiya is a favorite among locals. The atmosphere is fun with loud music, perfect for big groups with close friends or family! They’re also open late which is great for those looking to feast until 2 a.m. Kogiya is pretty popular and can get pretty crowded, especially on the weekends, so I recommend visiting during the weekdays if possible. If not, make sure to call before heading over! I also recommend carpooling because they have limited parking. Instant coffee is also served at the end of the meal as part of the service. Located in the informally known Korea Town of Washington D.C., Yechon is one of the older Korean restaurants in Annandale. Yechon is open 24/7, making it the perfect place to go after a late night with friends, or whenever you are hungry! Yechon offers a variety of traditional Korean dishes with multiple side dishes and even sushi. However, Yechon is a little pricier than other spots and the service can be scattered. They also don’t offer an AYCE option, but their waitresses dress in traditional hanboks, which only helps the authentic vibe. With fair prices and generous portion sizes, Honey Pig is a great place for some trusty, good Korean BBQ. Because of its popularity, the wait for seating may take a while, but once you sit down the service is quick. Not only that but the serving staff moves quickly to ensure that the guests have to wait as little as possible for their meat. With Korean music playing in the background, creating a fun, Seoul-like atmosphere, Honey Pig is great to visit with friends and large groups! A karaoke spot is located next door, which is a natural next step on your night out. Though their banchan isn’t the greatest, as long as you are a meat lover, there will be plenty. Honey Pig doesn’t take reservations, which can be inconvenient, but the wait usually runs shorter than what the hostess may tell you (which means she’s smart). 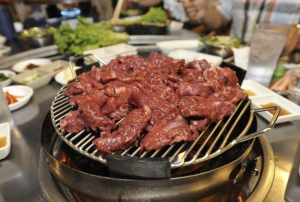 Honey Pig is a great place for Korean BBQ in the DC area: they cater well to non-Koreans looking to have a good time in a fun atmosphere… of course the sizzling plates of meat helps. If you’re in the Georgetown area craving Korean food then Zannchi is the place to be. 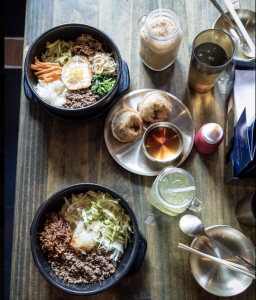 Started by a Georgetown alum, Zannchi offers Korean food with vegetarian options, something most Korean places do not. The restaurant is great for those first venturing into trying Korean food and, considering their location, their prices are decent. However, Zannchi has a limited menu and variable service quality. Sometimes, even outside peak hours, there will be only one server running around, meaning you’ll have to be a little patient for your food. More than ten restaurants in and around Washington, DC were reviewed, and of those, four met our criteria of having more than 100 reviews and passed the Fakespot fake reviews test. Based on this distribution, you can see how far ahead of the pack Kogiya Korean BBQ is. As I’ve iterated in other posts, it takes a lot to influence these scores, as negative reviews will cancel out the positive ones. You truly have to create a positive, memorable experience. 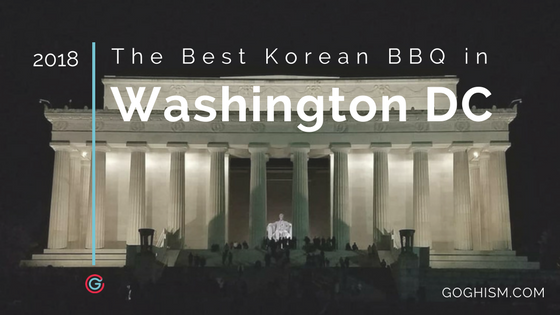 Because of how far Kogiya Korean BBQ is above the rest of the Korean BBQ restaurants in and around Washington DC, we can be confident it will be your best bet for 2018.